CBC International, one of the UK’s most successful collection agencies, has become a TATOC silver affiliate. 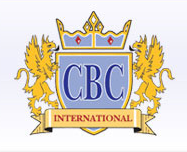 CBC International has worked within the timeshare sector for several years handling the collection of annual maintenance fees and finance charges. CBC International is licensed by the Office of Fair Trading, registered under Data Protection and holds the international Quality Assurance Accreditation ISO:9001/2008.